Celebrating 35 years of promoting and sharing a Chinese tradition on the Charles River, across New England and beyond. Co-founder and senior historian at the Museum of Chinese in America. 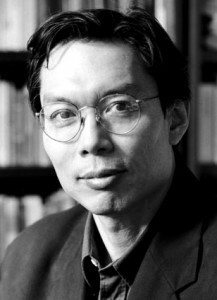 Founding director of Asian/Pacific/American Studies Program and Institute at NYU. Co-author/editor of Yellow Peril! : An Archive of Anti-Asian Fear (2014). Are you or do you know someone who would be interested in helping further the mission of CHSNE to document, promote and preserve the legacy of Chinese in the New England area? CHSNE is seeking nominations for the Board of Directors. The commitment is one board meeting a month and participation on a committee (website, archive/collections, development, walking tours, publications, educational resources). Current board members include: Carmen Chan, Peter Kin Lap Chan, David Chang, Thomas Chin, Sherry Dong, Stephanie Fan, Heather Lee, Shauna Lo, Manyee Tang, Wing-Kai To, Allan Tow and Joseph Yeung. The Institute for Asian American Studies (IAAS), in partnership with CHSNE has been interviewing Chinese Americans who owned, or whose parents owned, a laundry in Massachusetts. View the collection of interviews here. The Chinese experience in America has too rarely been told as a story at the center of American history until now, with the New-York Historical Society’s landmark exhibition Chinese American: Exclusion/Inclusion, on view September 26, 2014 through April 19, 2015. Share your story (for possible inclusion!) and view other’s posts here.